The perfect gift for your bridesmaids! These fold-able flats will allow you and your bridesmaids to dance the night away in comfort. Talaria (tuh-LAH-ree-uh) is the name of the winged sandal worn by Hermes, the messenger god of Ancient Greek mythology. The sandals were made of impenetrable gold and had wings on them, allowing him to travel safely and quickly. 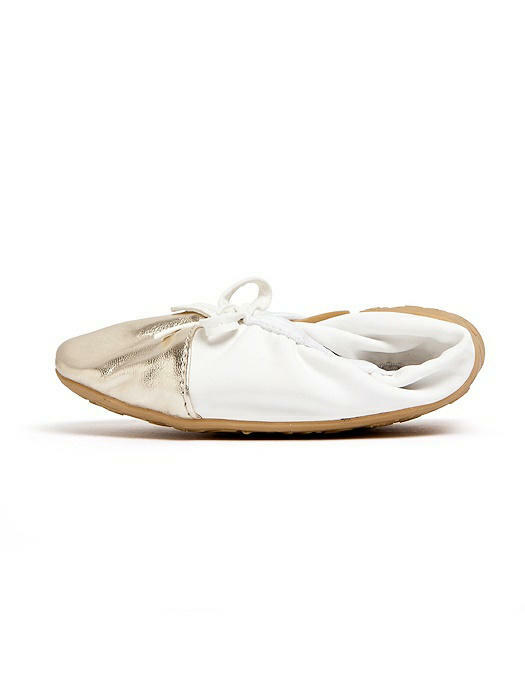 And Talaria Flats are the modern day version of this story - shoes that allow a woman to continue on her journey through the day or night. Our flats fit true to size. If you are a half size, please order a size up.